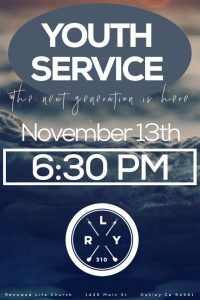 Join us Sunday evening at 6:30, on November 13th as our youth take over night service! In the sanctuary. We will be handing out certificates for graduating discipleship students, followed by an ice cream social.